It was a memorable evening at Jaganmohan Palace on the evening of the 4th of June. The occasion was the felicitation to Sri M, who accomplished The Walk of Hope of 7500 km from Kanyakumari to Kashmir for Peace and InterFaith Harmony. The program started on the right note with melodious singing by two winners of “Ede thumbi haaduvenu” program. 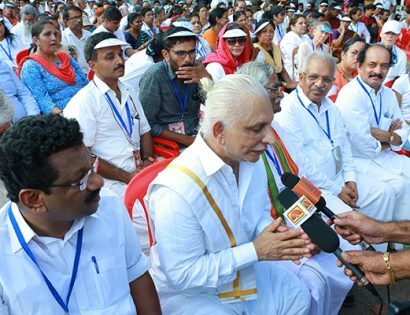 This was followed by moving movies of Sri M’s padayatra; there was not a soul in the audience who was left untouched, as people from all walks of life and from every nook and corner of the country were seen showering their love and affection with their enthusiastic welcome. Dr. B.R.Pai welcomed the guests and the gathering. Sri Ramachandra introduced the dignitaries. 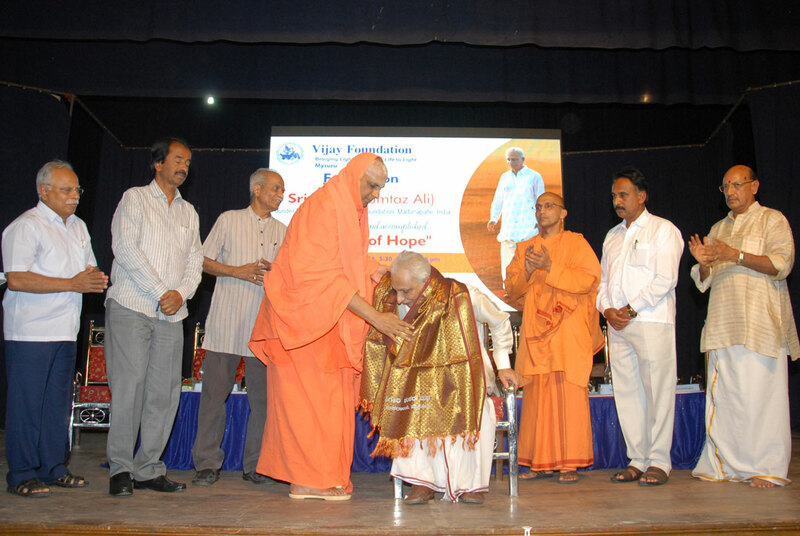 The citation of felicitation was presented to Sri M by Jagadguru Sri Shivarathri Deshikendra Mahaswamiji and Swami Yukteshanandaji of Sri Ramakrishna Vidyashala, along with the Guests of Honor. 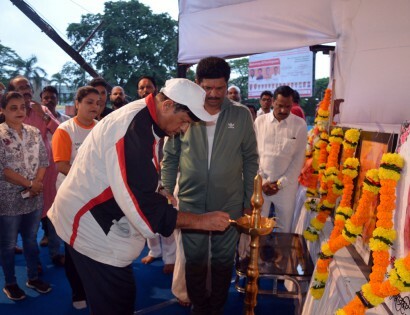 In fact, we were honoring ourselves and all of humanity by honoring Sri M.
Mayor Bhyrappa said he was happy to participate in such a humanitarian cause. MLA Sri Vasu, who had walked upto Srirangapatna as part of the Walk, was open to more such walks. 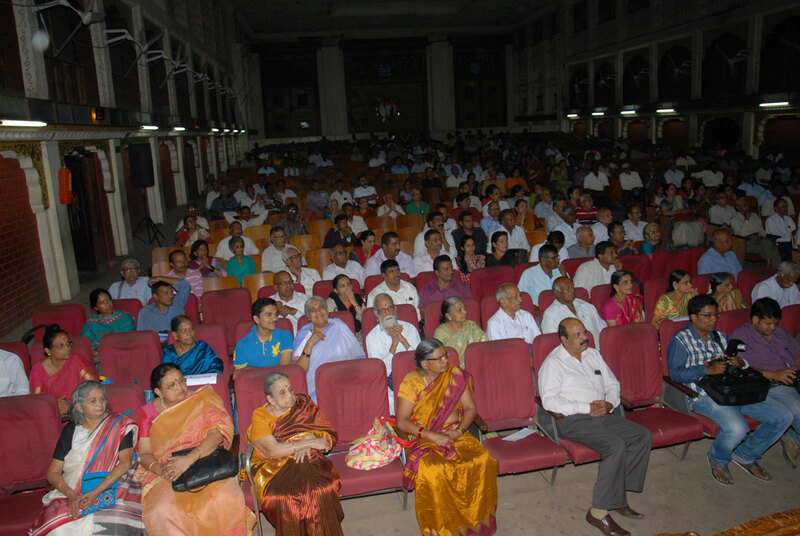 Industrialist and philanthropist Sri R. Guru opined that such events bring harmony in the country. Swami Yukteshanandaji talked about the inner harmony that such walks bring about. 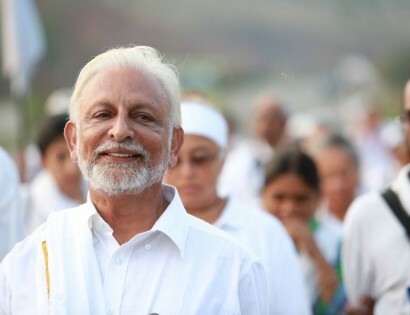 He termed the walk a spiritual one and one which makes us all introspect. India, he said, was a country which always believed in Acceptance of all religions and traditions and so there is no question of being intolerant. He lauded the simplicity and inner strength of Sri M.
Sri M began by talking about his soft corner for Mysuru and his visit to the Himalayan Salt Cave, and referred as to how his wife called B.R.Pai as Paimom. Ours is a unique, diverse country with its different sampradayas. Any intolerance was only an aberration. Truth is One is the core of his spiritual experience. He said “All of us walked”, entire Manavta walked. He has planned his next walk from M to M (Madanapalle to Meghalaya). He also wanted to walk in the interiors of Mysuru for a few days. He concluded his talk with a story of a sculptor who had evaded Yama till Ego overtook him. 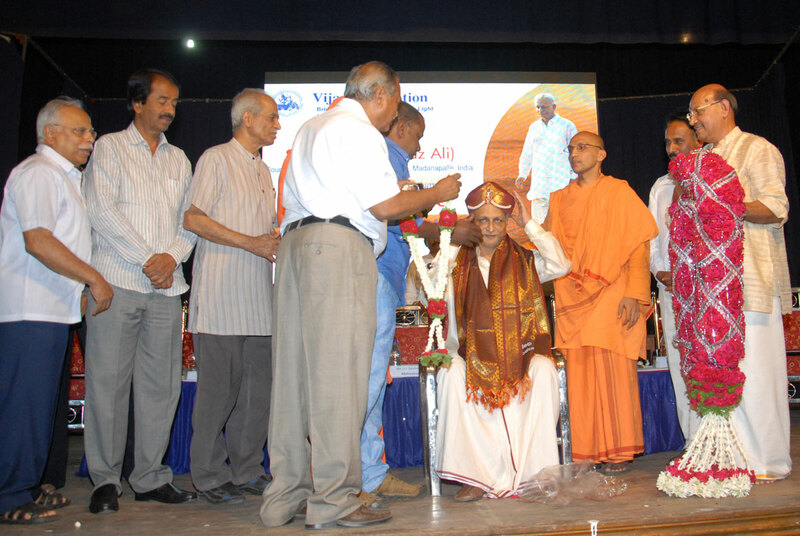 In his Aashirvachana, JSS Swamiji said that Sri M’s was an Inner Padayatra. Quoting extensively from Sri M’s biography, he said that a man who was on the verge of suicide, transformed into an apostle of Belief in Humanity all with his Babaji’s aashirvad. He would welcome Sri M’s walk from Mysuru to Sutturu. He concluded by saying that the Walk has not ended, but just begun, and all of us have to keep walking to reach our goals in life.